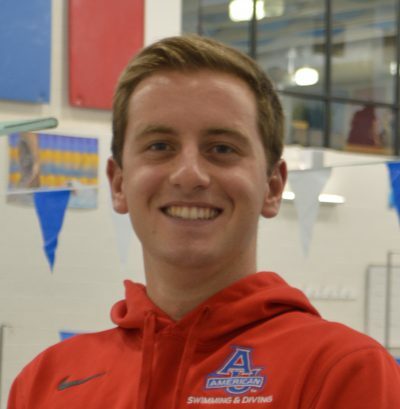 The men’s 1-meter diving event was won by Indiana senior Michael Hixon with a score of 464.40, just nine points shy of the NCAA record of 473.75, set by Stanford’s Kristian Ipsen in 2013. Purdue’s Steele Johnson took second in a score of 443.85. In third was Florida’s James Connor (440.55). Rounding out the A final with a score of 387.45 was Texas Longhorn Grayson Campbel.